‘I came to the hatfield practice about 4 years ago with a very limited range of movement and with no real idea of how i could improve it. After working with Ian and his team i started to gain the flexibility i desired to be able to make the changes in my swing and become a much more consistent golfer. With their help and dedication I was able to achieve more of my goals and go on to higher levels within my game. I couldn’t of done this without Ian and everyone at the the Hatfield practice and I strongly believe they can help anyone achieve their goals and take their game to a higher level’. WHATS SO SPECIAL ABOUT THE WELWYN & HATFIELD PRACTICE? Specialists at The Welwyn and Hatfield Practice Sports Injury Clinic have teamed up with Mill Green Golf Club to provide a discounted and personal injury support service for their members. We can identify and work with you to resolve injuries/pain in a fast and effective way. We can also provide bespoke specific treatment and functional exercise programs. What happens when a golfer gets injured ? Should they stop playing? Should they struggle on and then wonder why they are not playing well? Maybe they get frustrated and put their membership on hold thinking rest alone will repair the injury ? Most people just want the pain to go away quickly. Often the frustration is really about what to do next. Pain killers help sometimes but are not good in the long term and don’t give good advice or diagnose your injury. If we can find out what is wrong or why the pain keeps coming back & interrupting the game that they love so much. The Welwyn and Hatfield Practice’s Golf Injury Clinic brings a wealth of experience in dealing not only with specific golf injuries but also the wear and tear injuries that stop golfers improving and enjoying their game. 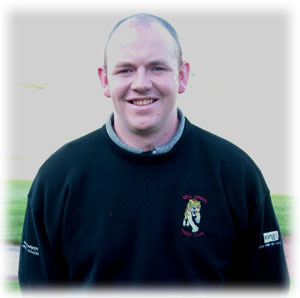 Our Physiotherapists are all very positive and will support your rehabilitation and get you back on the golf course. We have been working in the Welwyn and Hatfield area since the 1990’s. Most of our patients feel improvements after their first visit. In some cases the patients like to involve their PGA teaching professional with the treatment. Our Physiotherapists can consult at any time with your PGA teaching professional to remedy the swing fault through treatment or exercises. This approach has often resulted in a pain free golfer shooting better scores and reducing their handicap. Our specialist team are committed to giving you complete confidence in the diagnosis and treatment you receive. Each individual case is thoroughly assessed by our highly trained specialists, in a welcoming and supportive environment. Our multi-disciplinary team has a wealth of experience in client care – they are here to help you every step of the way. Our specialists have successfully worked with people from all over the South East helping them become pain free and return to golf as well as normal daily life. Do you have a question that you would like to ask one of us? This would be an ideal opportunity to discuss your particular problem and whether you feel we can help you recover. The service is provided in order to help people choose whether The Welwyn and Hatfield Practice Golf Injury Clinic is the right treatment for them. 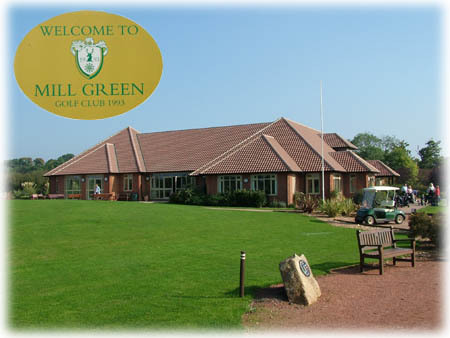 Mill Green Golf Club in Welwyn Garden City is rapidly becoming the place to be for golf of all ages thanks to the efforts of Ian Parker and his Golf Academy. At each stage from the Par 3 Tiger Club to the Junior Section to the Men’s & Ladies Sections.